LAU inaugurates the Health Information Center at the Beirut campus. 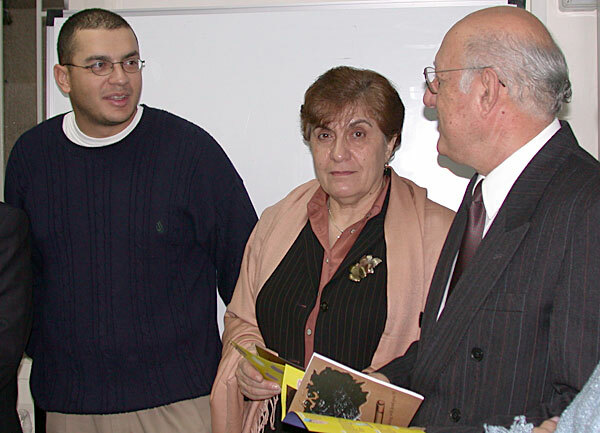 From right: Dr. Riyad Nassar, Najib Nimah, Dr. Layla Nimah, Dr. Tarek Na'was and an HIC staffer. Dr. Nassar commended the people who set up the center for providing an essential service to the community. 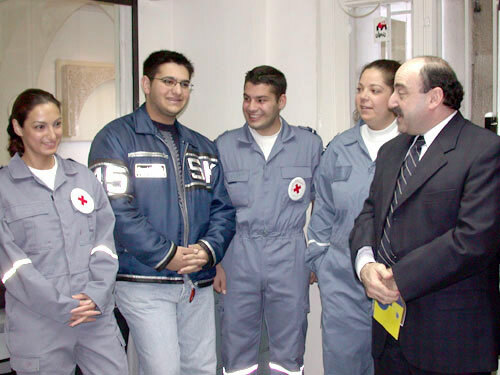 Dean of Student Services Tarek Na'was meets Red Cross Club members. Najib Nimah, VP for Student Affairs Dr. Layla Nimah and Dr. Nassar. 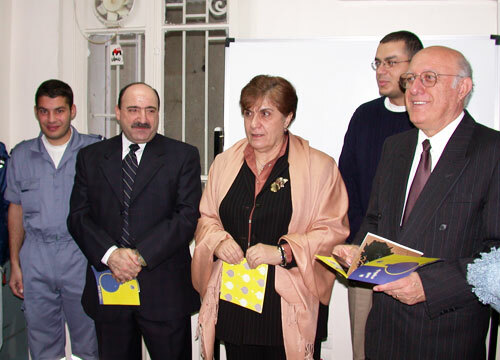 LAU President Riyad F. Nassar and Student Services officers inaugurated the Health Information Center at the Beirut Campus, Tuesday March 27, 2002. The HIC was created to provide the LAU community (students, faculty and staff) easy and direct access to information on various health issues. The HIC is supervised by Najib Nimah, M.D. and operated by members of LAU’s Lebanese Red Cross Club. The volunteers will be trained and qualified to answer questions from the community. The center is set up in a way to facilitate the flow of data and information. Students can pick up any of the brochures in the info stand or get help from their proficient peers manning the office at any time. Materials are currently available on topics such as infectious diseases, HIV, general health and dieting, preventive medicine, home safety tips, smoking and environmental protection. The HIC will constantly be updated with new data as it becomes available. The aim is to provide continuous, diverse and conclusive information to meet the needs of LAU students. The motto of the HIC is to conquer weakness through information. The HIC will hopefully be a humble first step in that direction. The center is located in Nicol Hall Ground Floor.